hies Cow Ears are FDA approved and sourced from Brazil, one of the highest quality sources in the world. 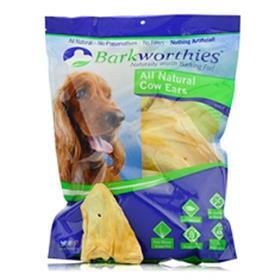 As with all of Barkworthies products, our Cow Ears are additive free, chemical-free and preservative free. In fact, most Barkworthies products are single-ingredient chews, making them all natural, healthy and safe for your dog.